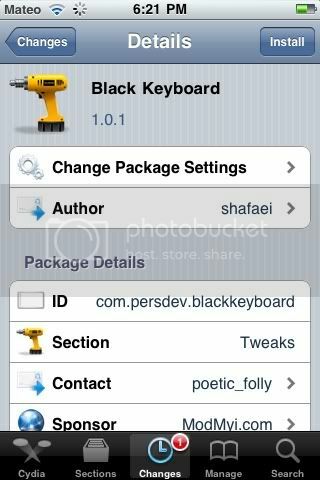 New tweak in Cydia, Black Keyboard, you wanted a black keyboard You got it. Using this package will able you to use a black keyboard anywhere. Requires IOS 4.2.1 or Higher. Free on Cydia. Search for it.